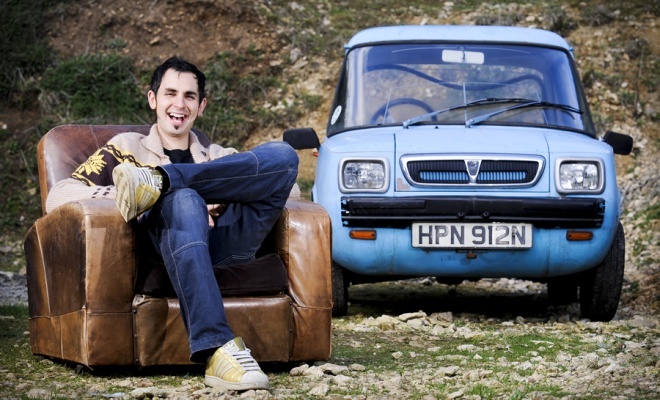 Jonny Smith, owner of some doubtful sideburns and a man of acquired automotive tastes, has bought himself an electric car. If you’ve ever caught Smith’s delightfully quirky work on TV’s Fifth Gear you’ll guess he’s not the kind of bloke to nip into to a Nissan dealer and order up a new Leaf. Nor has he purchased the last of the Tesla Roadsters. Smith might hanker after a bit of Tesla pace but he’s starting out with something substantially more slug-like. 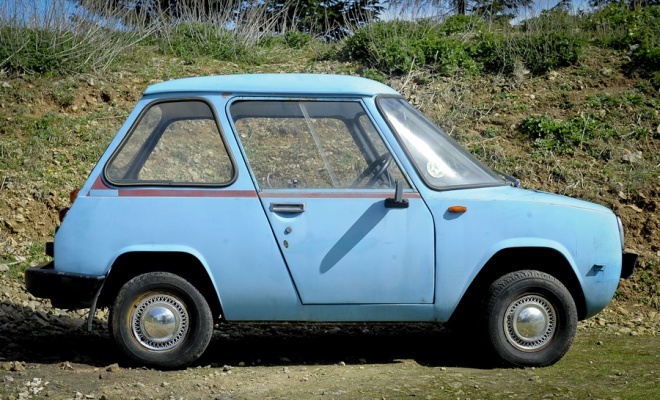 The stumbling block he’s bought is called an Enfield 8000, an electric car built on the Isle of Wight in the early 1970s. It vaguely resembles the Thundersley Invacar tricycle – particularly when painted the same suffocation blue as those contemporary mobility cars – but it does at least have a full complement of four wheels, one very much at each corner. The Enfield is remarkably like an Aston Martin in its use of hand-formed aluminium panels. It also possesses a fine, Saab-style curved windscreen. But there the resemblance to classic cars of great pedigree stops rather abruptly. The rest of the car appears to have been styled with an eye on Tupperware, Electrolux cylinder vacuums and orthopaedic shoes. Smith’s car shipped in 1974 with an 8hp motor, yielding a top speed of 40mph and a leisurely 12.5-second trot to 30mph. Eight 12V lead-acid batteries of 55Ah capacity gave an onboard energy store of about 5.3kWh – somewhat less than Renault slots in lithium-ion terms under the front seat of a Twizy. Range was 35 to 55 miles, depending on the weather and the need to lug all that lead up hills. Kerb weight was not far short of a tonne at 975kg, of which 300kg was batteries. Smith intends to junk the original electrical system – it was ruined after the Enfield went for a swim in a flooding River Severn in any case. Into the resulting vacant void he plans to fit a state-of-the-art electrical powertrain suitable for going stupidly fast up drag strips. Smith has called his car “Flux Capacitor”, in honour of the vital Y-shaped widget that powered the Back to the Future DeLorean (with an added big nod to chief sponsor Adrian Flux Insurance), and plans to turn it from a meek little motor into Europe’s quickest street-legal EV. It is therefore destined to get a much bigger motor, modern batteries and a roll cage. It might even go around corners by the time it’s complete. Visit Smith’s Flux Capacitor site if you want to follow his efforts at turning the little Enfield up to eleven.